Why choose Veriga TPC protection chains? 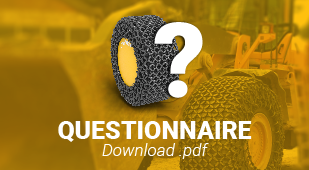 The cost of tyres represents a significant proportion in the use of large working machines. By using tyre protection chains, we protect tyres from damage and extend their lifetime even by 40–50 %. 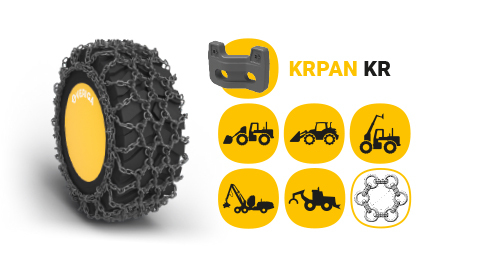 In addition to protection, chains also offer improved grip and reduce the possibility of the wheels slipping. 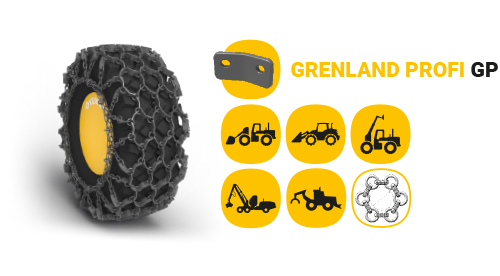 Depending on the different types of protection elements, the grip also varies from element to element. 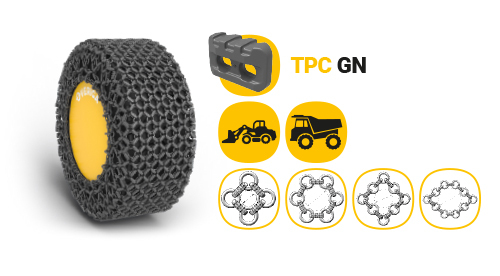 Protection chains increase the surface of the wheel, which is in contact with the ground, which increases the stability of the machine. They also prevent the wheels from slipping on smooth surfaces and provide greater stability (also side stability) on slopes. The advantages of protection chains can be fully exploited if the chain is of high quality in terms of construction and manufacture. 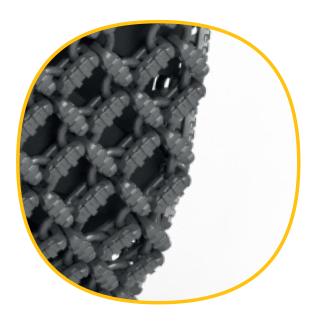 In development and manufacture of protection chains, we use the best materials and heat treatment as well as rich experience in the area of chains. 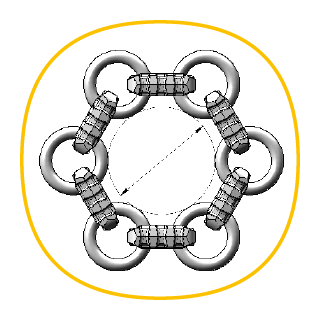 The choice of material is very important in addition to the construction of the chain. The material must be suitable for heat treatment and contain the correct ratio of carbon and other alloying elements, which allow for high-quality heat treatment and thus a high degree of hardness, which ensures a long lifetime of the chain. The lifespan of protection chains depends on the correct heat treatment of the elements. The hardness on the surface has a high value, which decreases with depth, however. Adequate hardness in the core provides the toughness of material, which is important for heavy loads and chain endurance. 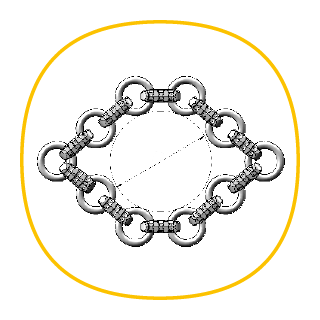 The desired chain properties are ensured by the carburising process. 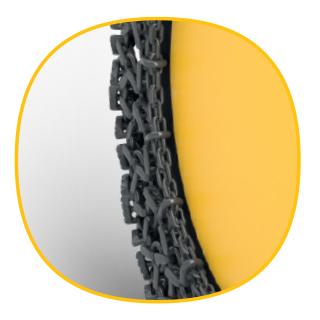 Depending on the purpose of use, we offer different types of chain and protection element constructions. 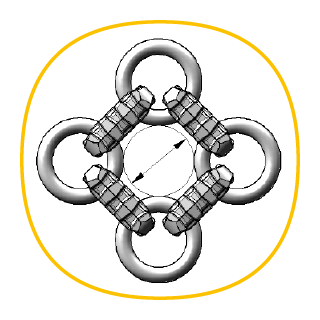 For optimum use, it is necessary to choose the correct knitting density and the correct shape of protection elements. 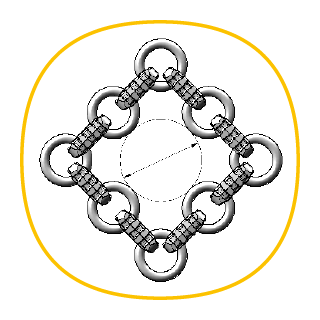 It is also necessary to take into account the weight of the chain that can be installed on a working machine. 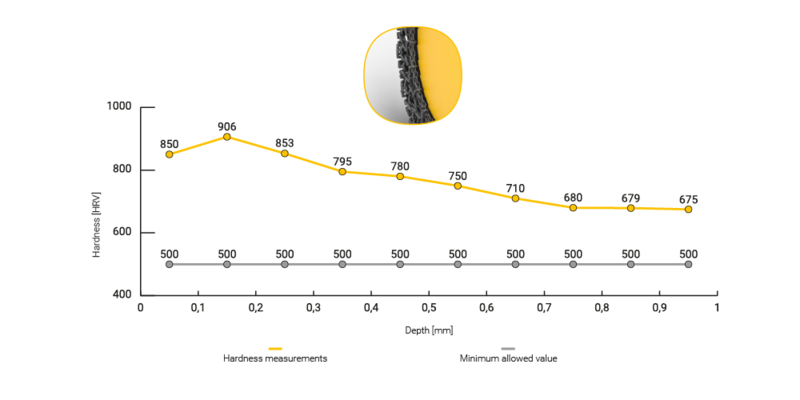 Denser construction means better protection of the tyre, but also a greater weight of the chain. 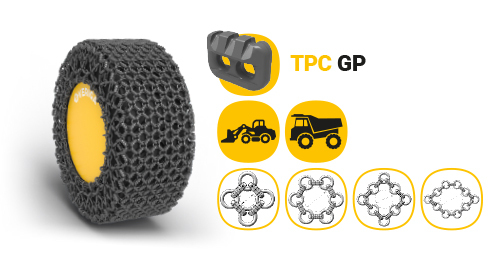 Protection chains extend the lifetime of tyres and thus reduce the costs of maintenance and production loss.